Jasmine rice is a fragrant variety of long-grain rice grown mainly in Thailand. This variety of rice, also known as Thai Hom Mali or Thai fragrant rice, is the most common type of rice used in Thai and other Southeast Asian dishes. Jasmine rice is prized for its light, fluffy texture, mellow nutty flavor, and floral scent. The floral aroma of jasmine rice is naturally occurring and may differ based on when the rice is harvested. The scent of jasmine rice is strongest when the rice is fresh and may diminish completely in older rice, especially when stored improperly. For this reason, jasmine rice should be used within six months of purchase and always kept in an airtight container. Although jasmine rice is not considered a sticky rice, it is slightly more glutinous than regular white rice and can be used for applications where rice needs to be formed into shapes. Jasmine rice can be purchased polished (white) or unpolished (brown). Other varieties may depend on the season in which it is harvested. Spring rice will have a lighter more delicate flavor while rice harvested later in the season will be strong and robust. Jasmine rice is often compared to another popular long-grain rice, Indian basmati rice. Although similar to the aromatic basmati rice, the flavor, texture, and aroma of jasmine rice are slightly different. Basmati rice is also aged before being sold. For die-hard foodies, jasmine rice should be reserved for Thai dishes, whereas basmati rice is best served with Indian cuisines. Despite their differences, many people use the two interchangeably in their recipes. Jasmine rice can be prepared in the same manner as regular white rice, although it usually requires less water. Thankfully, for those of us who are English speakers, English cooking instructions are usually printed on the packaging of brands sold within the United States. You will want to follow the instructions carefully to get the best results for your rice. Jasmine rice is especially light and fluffy when steamed as opposed to boiled. For this reason, bamboo steam baskets and rice cookers are excellent options for cooking jasmine rice. 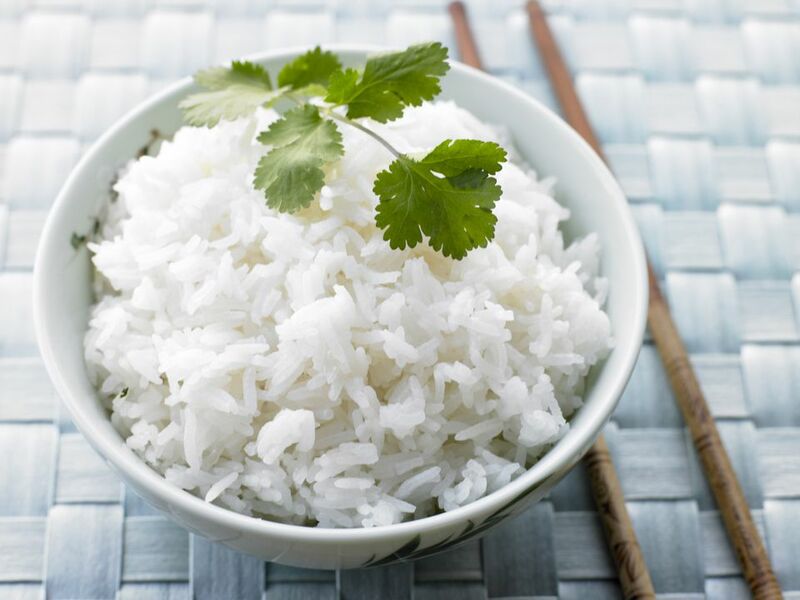 Although jasmine rice is primarily grown in Thailand, it has increased in popularity throughout the world. Jasmine rice is now cultivated outside of Thailand and can be found in most major supermarkets throughout the United States. In the grocery store, jasmine rice can usually be found in both the Asian foods section and in the regular rice aisle. Jasmine rice is often sold in larger five-pound or ten-pound bags and is usually only slightly more expensive than regular white rice. Check Asian markets and ethnic food stores for a greater variety of jasmine rice.